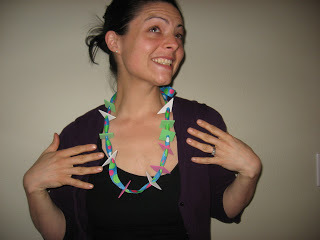 We had so much fun making this necklace craft. I really pictured my son lacing a few shapes and proclaiming he was done but he did every single one! 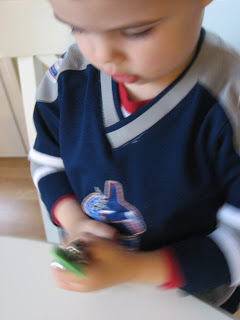 I helped him get the hang of lacing but in true 2-year-old fashion, he wanted no help after a few times. This can and should be made into a patterning lesson for children ready for that challenge. 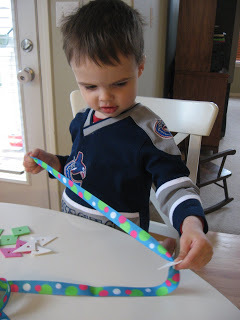 Fine motor skills, shape recognition, and hand-eye coordination all get a great workout while your little one makes something for someone special. Gather your materials. 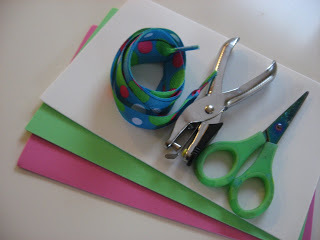 You will need some foam sheets, scissors, a hole punch, and a large shoelace. Shoelaces have a nice hard tip which makes lacing possible. Smaller shoelaces will work but the beads will pool at the bottom so don’t forget to tie a knot. 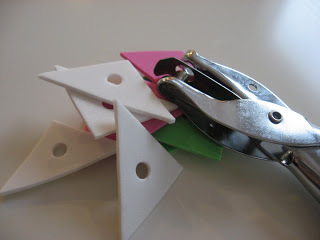 Cut out different shapes from the foam. 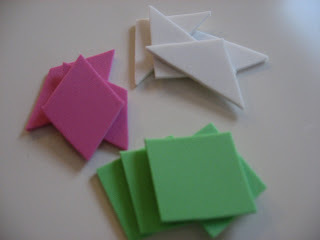 I asked my son which shapes he wanted and cut a handful of each. Time to punch holes. I did this but let my son explore with the hole punch and try before moving on to the next step. He tried so hard I never got a still shot. Start lacing! With this oversized lace, you don’t need a knot at the end, but skinny laces will. Celebrate when they get a shape on and be sure to ask what shape and color it is. 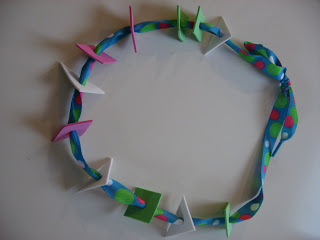 Then, tie a bow to complete the necklace craft. Le petit bonhomme est trÃ¨s appliquÃ©! what a fabulous necklace ! Another great idea for me and my toddler! Thanks. this is great! we will do this activity today! 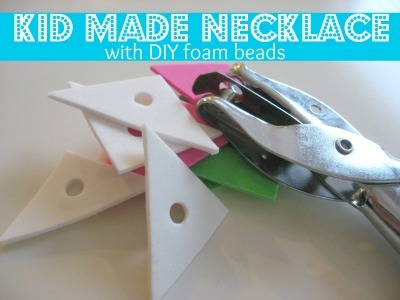 Love the necklace idea; where can I find colorful, thick shoelaces like that? We got the shoelaces at Wal-mart in the children’s shoe section. You are so cute!!! Love seeing you in the necklace. 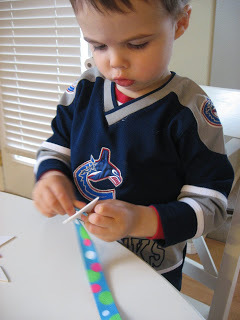 And this is such a great non-messy craft. It will be fun for my two year old son AND his 6 year old cousin. Thanks for another great idea! Cute idea too! Your son is lucky to have such a creative mommy! Thank you! And thanks for your blog in general. 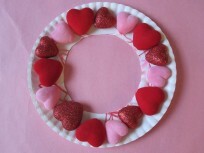 Our mommy-run preschool group loves the crafts you come up with. 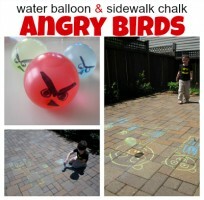 Very cute & fun (and educational)! what a great craft for little kids! love your blog! The Itty-Bitty Bookworm will soon be publishing a monthly e-magazine. 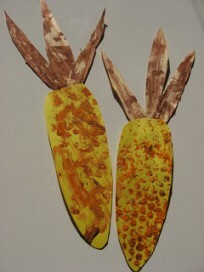 It will be a compilation of the best preschool activities around the blogosphere. I would like to include this idea (and pictures). If you agree to allow us to publish this idea, we will also publish your name, bio, and bloglink. is enjoying being a big brother!